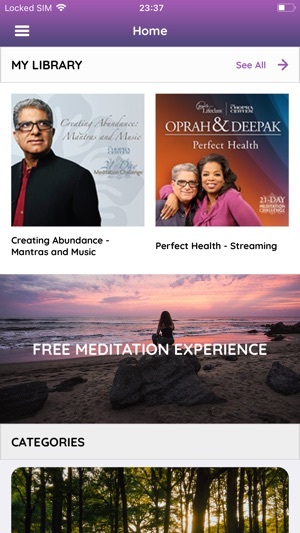 Oprah Winfrey, Deepak Chopra, and Chopra Center Meditation present the “Oprah & Deepak’s 21-Day Meditation Experience” mobile app. 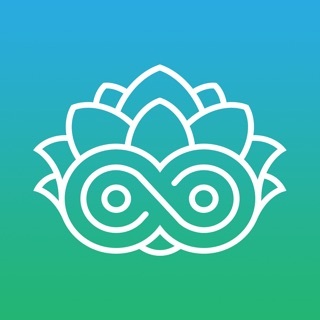 Get easy access to the complete online experience from chopracentermeditation.com, including your already purchased meditations, on your iPhone, iPad devices. 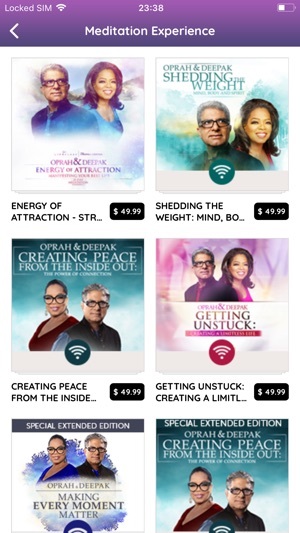 Join Oprah and Deepak as they make it easy to transform your life through meditation! 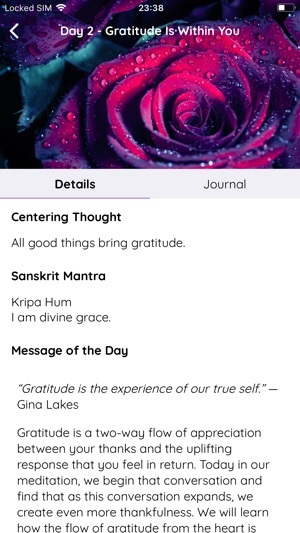 In this major update, we have completely revamped your 21-Day Meditation Experience app! Based on user feedback, we have stabilized the app, and streamlined how you navigate to your library, journal, and program details. Best of all, we now offer in-app purchases! You can still access the free Meditation Experience program when it is offered. 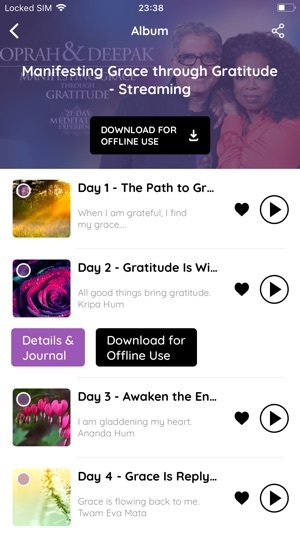 Stream your purchased meditations, write in your journal, and listen to sample meditations (if you do not own any) quickly and easily. 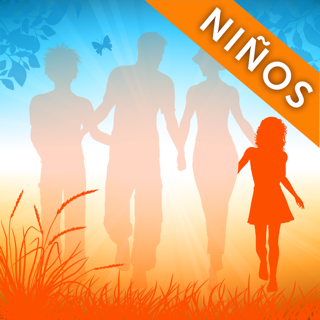 We hope you enjoy this new version of the app! Purchases don’t stick, feels scammy. I tried out a sample of one of the programs and while I don’t generally pay $50 for content, this particular program was so relevant for me I was willing to pay because I really liked it. 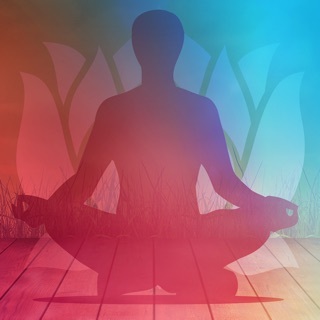 I purchased the program through the app and listened to the first two meditations (of 21). When I opened the app to start day 3, my purchase was gone. I tried the browser version- no evidence of it there. I checked and my credit card and iTunes account show the charge was made. So I wrote customer service and they told me they were working on it (they didn’t respond for 3 days though). They didn’t offer an apology or a workaround. Today they told me to update and restore purchases. I did. I got an error. I still can’t access my $50 meditation over a week later. I have repeatedly asked for a refund but I keep getting the run around. This feels like a bizarro scam to me. This app used to stream continually even while you were in other apps like the YouVersion Bible app does for example. Now that the app has been “upgraded,” this no longer happens. I enjoyed it the other way. So, that if I listening and got a pop up message or needed to check something else, I could do so while the meditation continued to play. Now, if a previously set alarm goes off, it stops the meditation and you have to go back and press play to continue. This is disruptive and annoying. Since the app no longer offers multitasking capabilities, I am not enjoying this particular meditation as I have others in the past. 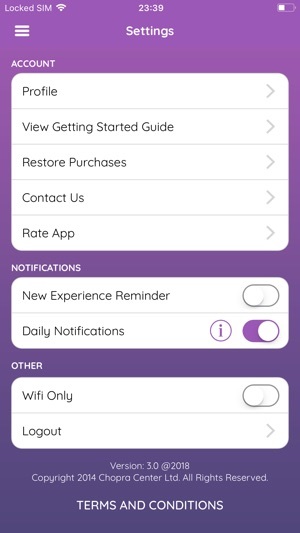 This certainly makes me NOT desire to spend $50 on paid meditations that are interrupted by every day life when the app does not possess the ability to multitask as it has in the past. This should be reconsidered. 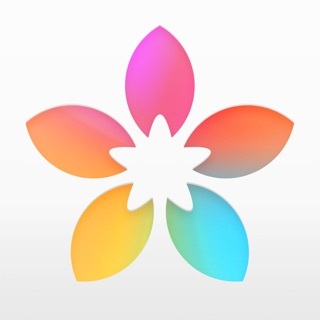 Meditations should be able to be streamed in the background like many other apps whether they are free or paid. Is this such a difficult capability to bring back? I can appreciate the new features of this updated app, though I haven’t had any use for most of them yet. However, one thing I used to do FREQUENTLY was “rewind” 10-30 seconds if I missed something Deepak was saying, or my mind wandered and I wanted to really listen and absorb these nuggets of truth. But it’s nearly impossible to tap and go backwards now. The backwards arrows rewind to the beginning (so frustrating) and if you tap earlier in the timeline, it only occasionally registers, though usually it misreads your attempt as a tap to go to the journal screen. Please add in a rewind 15 or 30 second button. This would improve things tremendously and there’s no use for a forward (skip to the next meditation) button so that’s a waste of space.